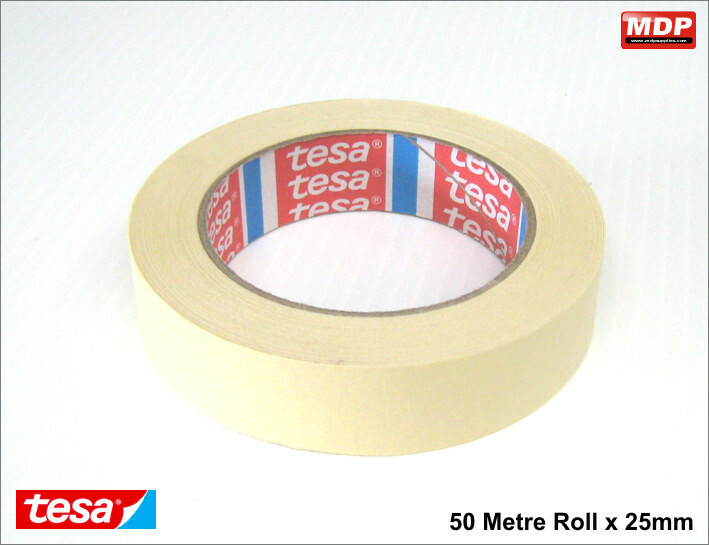 Tesa masking tape for securing graphics when you dry apply them. 25mm wide x 50 metres long. Price for 1 - 2 £0.95 ea. Price for 3 - 4 £0.94 ea. 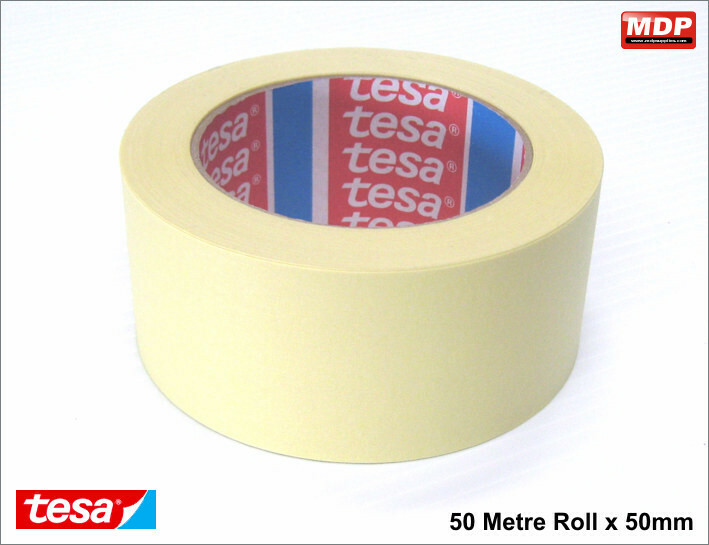 Tesa painters masking tape for securing graphics when you dry apply them. 25mm wide x 50 metres long. Price for 1 - 2 £1.69 ea. Price for 3 - 4 £1.64 ea. Price for 5+ £1.59 ea. 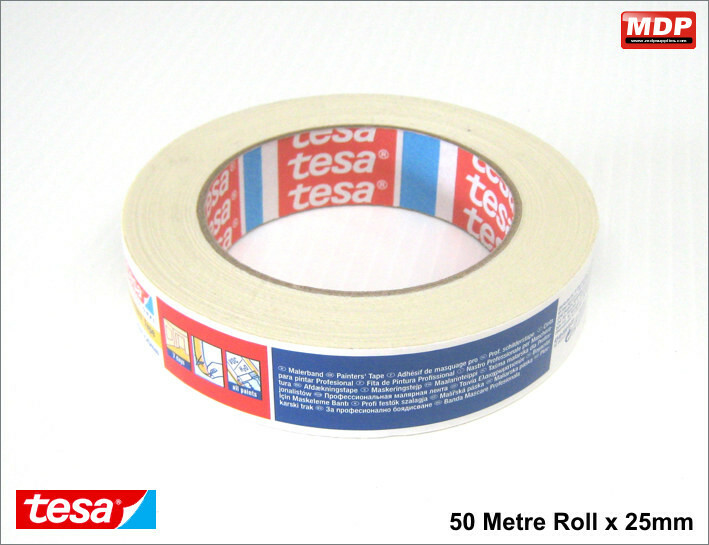 Tesa masking tape for securing graphics when you dry apply them. 50mm wide x 50 metres long. Price for 1 - 2 £1.59 ea. Price for 3 - 4 £1.54 ea. Price for 5+ £1.49 ea. 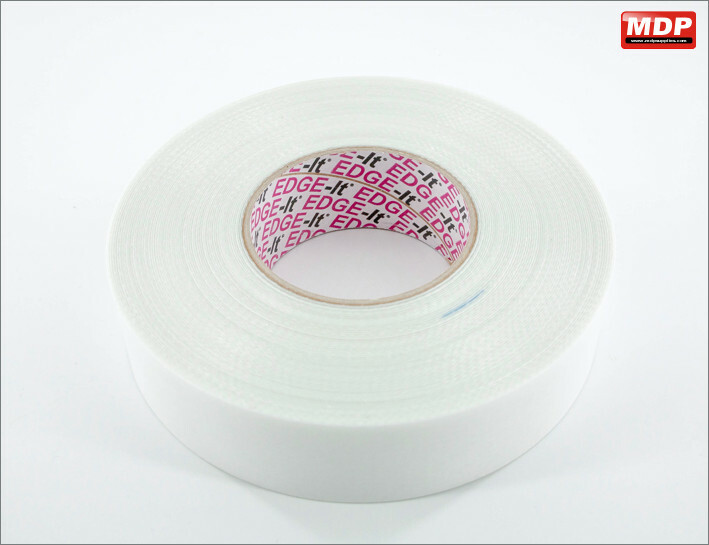 Heat tape designed for use with garment vinyls that do not have a tacky backing liner, eg AFB flex. Also suitable for inkjet transfer media and for dye-sublimation applications for securing dye sub paper to substrates, eg. mugs, coasters etc. 10mm wide x 66 metres long. Price for 1 - 2 £3.95 ea. Price for 3 - 4 £3.69 ea. Masking tape for securing graphics when you dry apply them. Easy tear. 25mm wide x 50 metres long. Price for 1 - 2 £0.89 ea. Price for 3 - 4 £0.84 ea. Price for 5+ £0.79 ea. 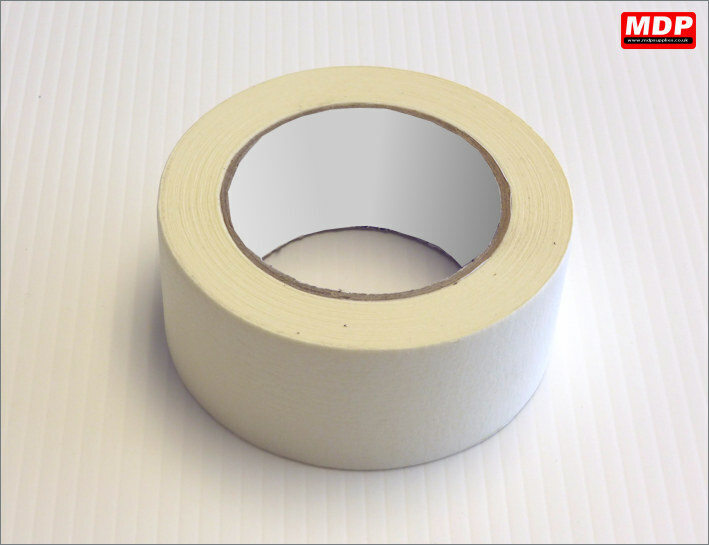 Masking tape for securing graphics when you dry apply them. Easy tear. 50mm wide x 50 metres long. 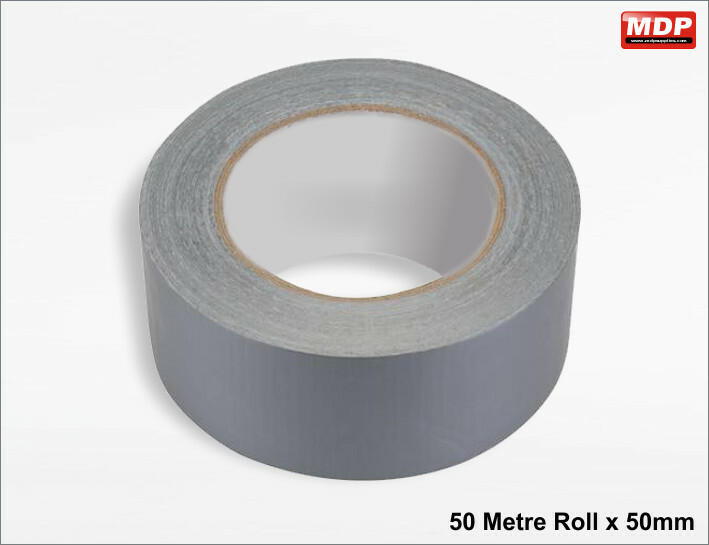 Silver extra heavy duty duct tape. Very strong, water resistant adhesive. 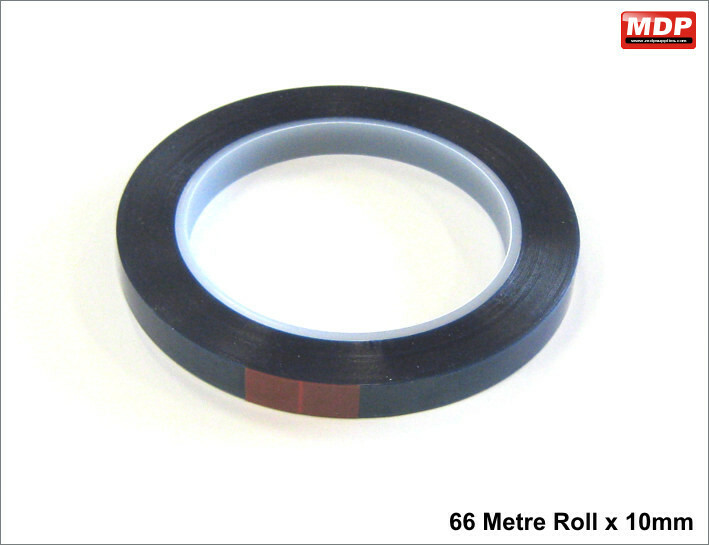 50mm wide x 50 metres long. Price for 1 - 2 £3.75 ea. Price for 3 - 4 £3.65 ea. Price for 5+ £3.55 ea. 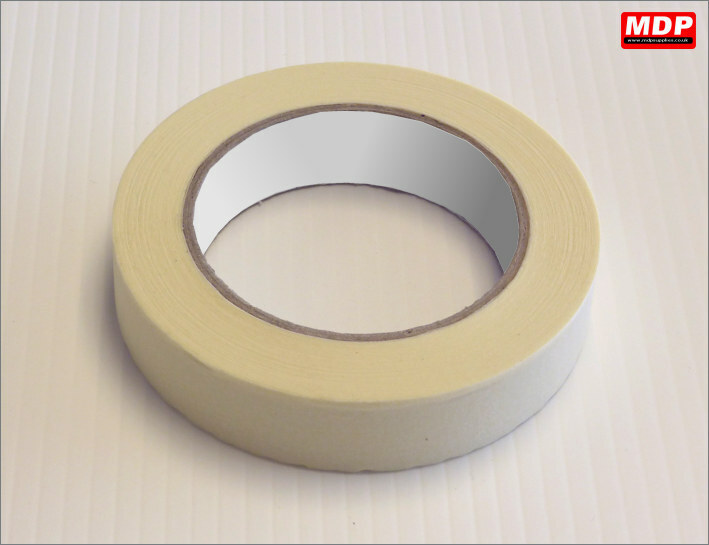 Double sided very high bond (VHB) transparent tape. Clear foamed acrylic adhesive with a special composition giving with excellent bonding properties. Extremely high clarity transparent tape. Excellent flexibility and softness for curved lines and for gap filling. Designed for bonding plastics and glass. 25mm wide x 33 metres long x 1.0mm thick. 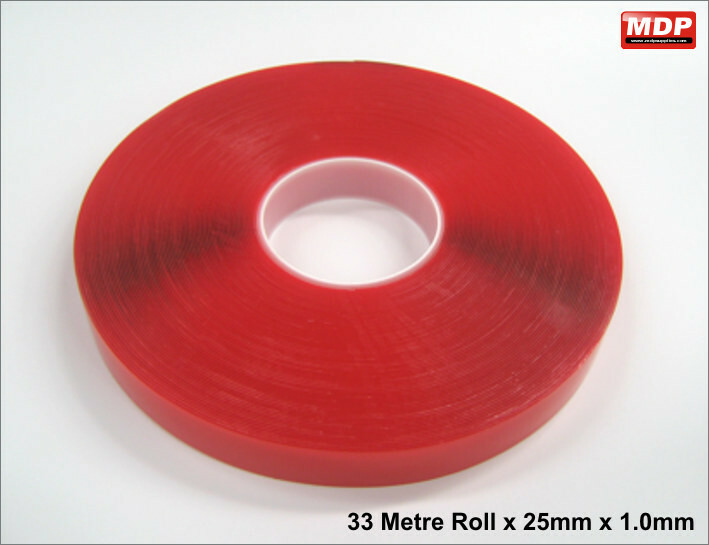 Double sided PVC tape with an acrylic adhesive. Strong initial adhesive power, designed for applying to plastics and metals, eg banners, panels etc. Suitable for application on rough and embossed surfaces. 25mm wide x 50 metres long. Price for 3 - 4 £7.49 ea. Price for 5+ £6.94 ea. 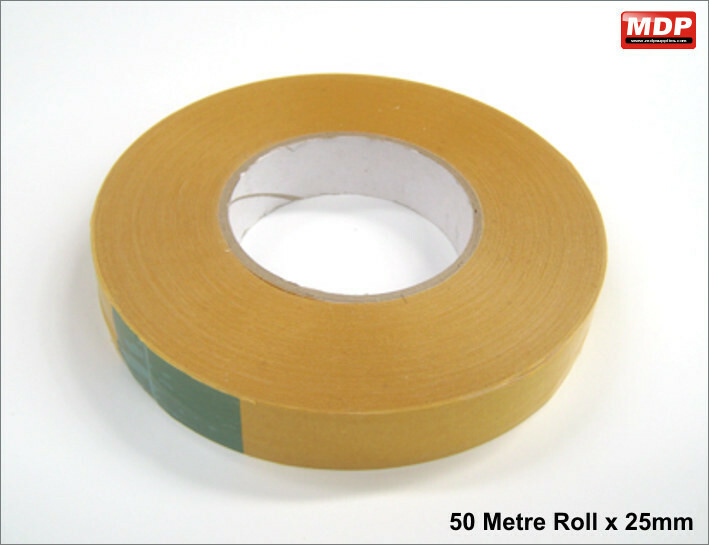 Single sided banner reinforcing tape. Incredibly strong and conformable. Apply Edge-It to the back of PVC banner material and eyelet through. It is suitable for use on mesh banners and designed for long-term outdoor use. Banners will roll without fluting. 40mm wide x 25 metres. Price for 1 - 2 £11.43 ea. Price for 3 - 4 £11.33 ea. Price for 5+ £11.23 ea. 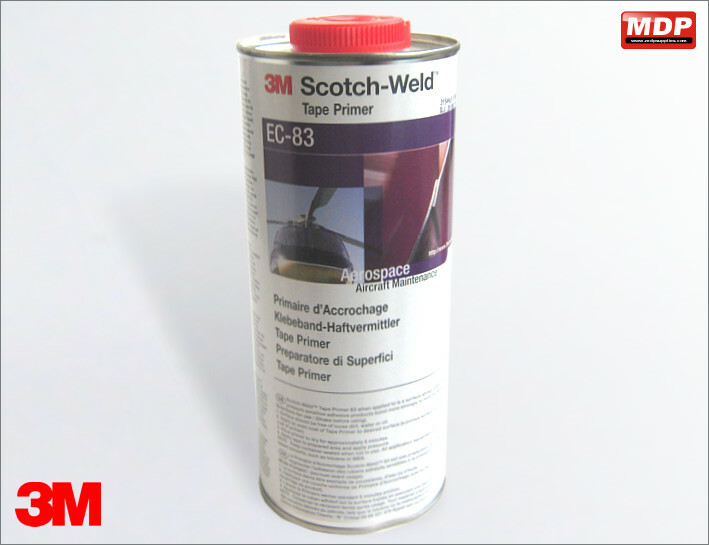 Apply 3M Scotch-Weld tape primer 83 to a surface to gain a greater bond. 1000ml can. Price for 1 - 2 £15.19 ea. Price for 3 - 4 £15.09 ea. Price for 5+ £14.99 ea.